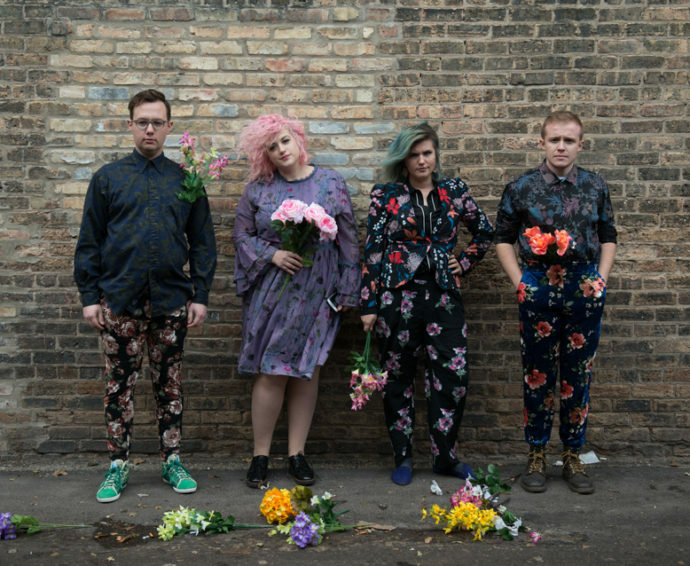 Chicago indie-pop band, Beauty School will be releasing their debut LP, Pushover, on June 12. Surviving the Golden Age is excited to premiere their new single, “Claimed to Be Cool.” With words by drummer Sarah Giovannetti, the song recounts a troubled early courtship with her now-husband. The message is universal about self-doubt, sincerity, and relationship dynamics. Vocalist, Caitlin Krenz croons out the lyrics over palm-muted guitars that culminate in a syncopated, all-out-rock chorus. Recommended if you like bands like Bully or Letters to Cleo, Beauty School are clearly a band to watch.